Who gets to define a community? Editor’s Note: This is from our October 2017 L.A. Real Estate issue. For the rest of the L.A. Real Estate package, check out the issue. Concerns about gentrification inevitably crop up when people move into an area seeking more affordable rent or home prices. Here, a duo of perspectives on a complicated topic. “I grew up in El Sereno. I hated my community. I blamed it for the conditions that we lived in. Then I took a couple of ethnic studies courses in college. When I started to understand systems of oppression and the way that our communities are, I learned it’s not coincidental and it’s not normal. My community is suffering because of a lack of access to resources—job training, mentorship, and after-school programs. The collective that I’m part of, El Sereno Against Gentrification, has been around about two-and-a-half years. Michelle García Gutiérrez and Angela Flores started it. They saw house flipping in the community, rent increases, and the cultural identity changing. Murals I grew up with have been painted over. They didn’t see a lot of community engagement. Some of the efforts that we’ve been involved in include two apartment buildings that were going up for sale. We were going to lose 80 families who’ve been there for three or four generations. This cannot happen. We started to door-knock and invite tenants to meetings and have food, lawyers, and presentations. We did workshops and made sure tenants knew their rights. We made sure they knew how to document habitability conditions and report them. We worked with the tenants to create kind of a union. Some of them were receptive. Others didn’t want to be targeted. One landlord didn’t appreciate that we were trying to make sure everybody had a home and that nobody got evicted. The other took his building off the market. 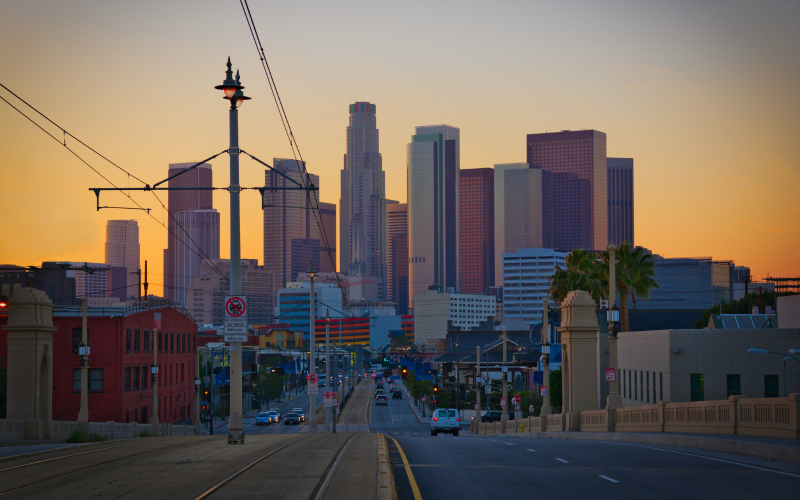 “We moved to Boyle Heights five years ago because it was the closest to the area we wanted to be and was in our budget. Highland Park and Echo Park were way out of our price range. We liked the historic Craftsman and Victorian homes of Boyle Heights and the small-town feel with mom-and-pop shops. We get along really well with the neighbors. I think they’re happy we bought this house and brought it back to the way it used to look. The previous tenants didn’t take care of the house and had crazy parties. The American dream is to own a small business, and it drives me nuts that protesters are boycotting this independent coffee shop run by three friends who keep the prices low. Why aren’t they targeting the CVS, Walgreens, and Starbucks that opened in Boyle Heights? I’m Peruvian American, and Spanish is my first language. I feel like it’s my community. My fiancé doesn’t speak Spanish. He’s an artist from central Asia. He just became a U.S. citizen two years ago, and he’s proud of that. He felt welcome until this group confronted him in the park. He was working with an opera company, and they surrounded him during a performance, saying, ‘Get out. You don’t belong here.’ They were yelling at him, pushing him. We’re not doctors and lawyers. I’m a film editor. Artists have to struggle enough as it is. They’re the bridges between social classes, between communities. To attack them is crazy to me.